1. Your dog refuses to do tricks in front of your guests, but does them without hesitation when you’re alone. You spent weeks teaching your pooch how to roll over or give paw and you can't wait to show your friends. "Watch what she can do!" you say excitedly, but when it comes time to perform, your dog clams up and just looks up at you with those big, confused eyes. That is a look of pure contempt. 2. Your dog hogs the entire bed, making you sleep on a tiny sliver on the side. The night starts off auspiciously enough, but, somewhere around 2 a.m. you find yourself clinging to the sheets just to stay on the bed. Total disregard for your comfort or wellbeing. 3. Your dog barks incessantly at a leaf blowing in the wind, but doesn’t even flinch when someone knocks on the door. Every minuscule sound outside — squirrels climbing up a tree, wind rustling through the trees, inaudible cosmic static—makes your dog jump up and start barking like a complete maniac. But when it really counts, like the time that sketch-tastic solicitor wouldn't leave your doorstep, Daisy seems deeply unfazed--because she doesn't like you. 4. Your dog tracks down the absolute smelliest spot in the entire yard to roll in immediately after you’ve given them a bath. Every time, you hope it won't happen. And every time, it does. Milliseconds after a thorough bath, you catch them rolling around in the single most putrid smelling spot in your yard. Your suspicions are correct: That actually translates to "$%@^ you" in dogspeak. 5. As soon as someone asks if your dog is friendly and if they can pet him (and you say yes), they immediately start to bark and/or growl. 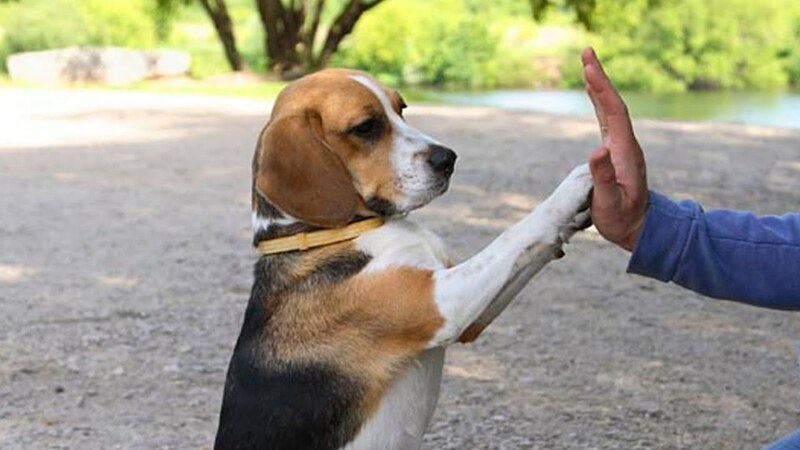 Your dog is so friendly he won't even snap at a fly--except, that is, when you've earnestly reassured that nice, inquisitive stranger that he's safe to pet. Then it's like Jaws 2. Thanks, Buddy. 7. You come home from a long day at work, excited to greet your pooch, and she could care less. Between your nasty boss and your even nastier commute, you could sure use a cuddle when you walk through the door. No dice: Your pup is barely lifts his head to shoot you a glance of ennui before passing back out in his bed. Sorry, pal. 8. Your dog reminds you that those leftovers you threw away yesterday are still perfectly edible. To your dog, everything is a doggie bag--including your trash bin. Disgusting? Definitely. A sign she hates you? Probably.